Do you love chicken wings? JET 24, FOX 66, and YourErie.com has teamed up with Erie Beer and Budweiser, the King of Beers to be your Wingman! 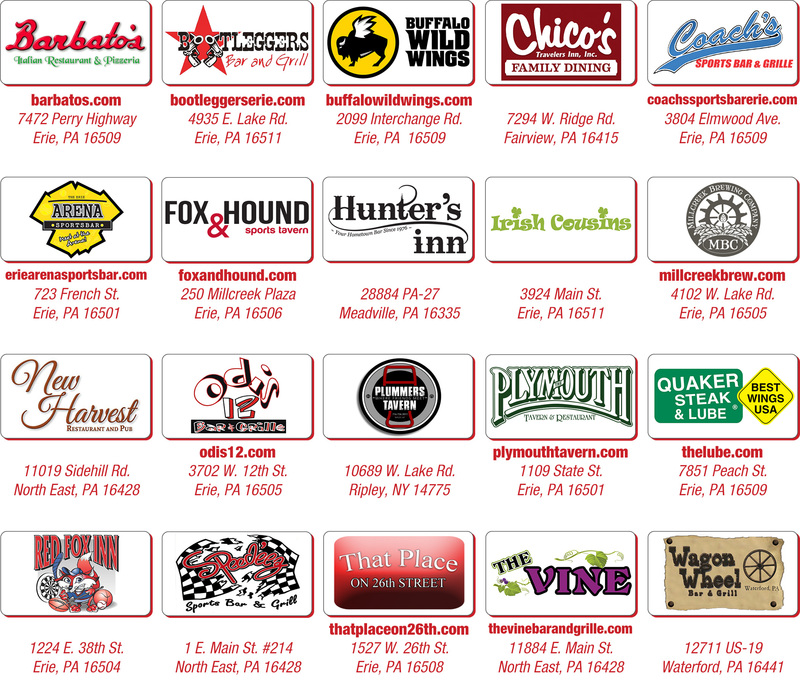 With your Kings and Wings membership card, you can dine at 20 area bars and restaurants and receive a one free order of wings at each location. We are not talking sample size, this is a full sized single order of wings! That is 20 orders of regular size wings for just $49, just a little over $2.50 per order. DINE IN ONLY. Some bars limited to 21 and older. Please drink responsibily. Good for one free single order of wings (full size regular order). Must present card when ordering.